Underwater survival-adventure Subnautica came out of Early Access last week, bringing with it the ability for players to create time capsules. Now players have found some special time capsules, snuck in by developers Unknown Worlds, containing early development ideas. How do you survive in Subnautica? 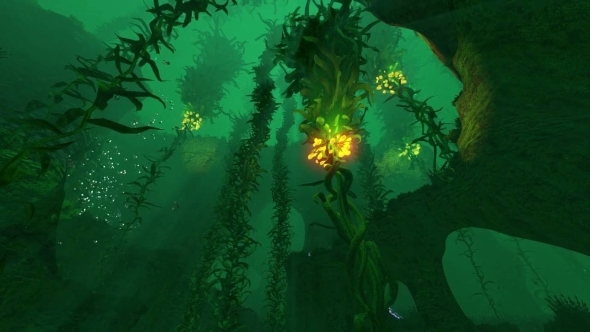 Well, check out our Subnautica guide. Subnautica’s time capsules are player-made items which can be customised with the creator’s image and message of choice, eventually making it into the game if they receive enough upvotes from on the Subnautica website. If your time capsule is accepted and up-voted it will appear in another player’s game, as long as they find it. You can see a larger version of the image onimgur. The sketch shows the creeping depths of Subnautica were something the developers planned, before a story had even been created. 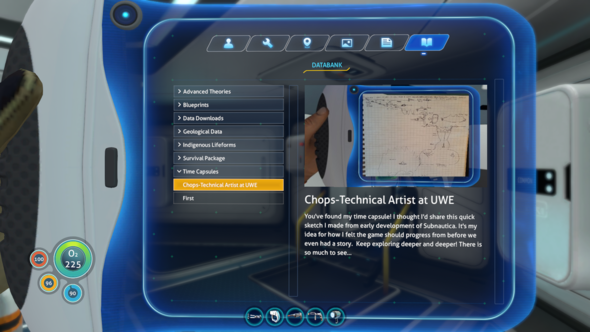 Other players have also stumbled upon Chop’s time capsule, but could this suggest other developers have hidden some secret messages in the hidden darkness of Subnautica?